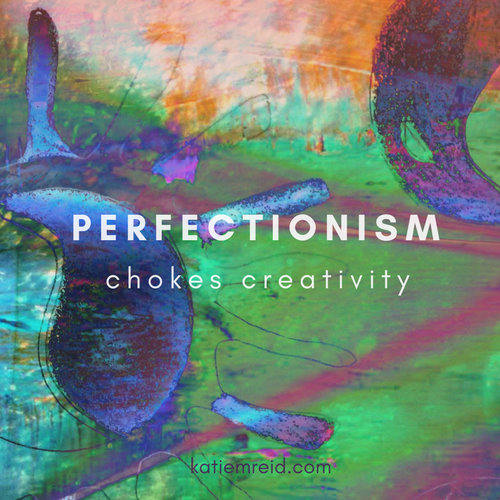 Is Perfectionism Choking Your Creativity? I used to wear perfection like an honor cord at graduation (with a glossy golden sheen) until I realized it was choking my creativity. There is not enough time in the day or fuel in the tank to demand perfection from myself or those around me. It’s perfectly impractical. A relentless motor and inner drive push me to perform flawlessly at breakneck speeds, but if I keep this pace, I’ll breakdown. Being a writer, speaker, wife, and mother of five, requires creative contortions on a regular basis, but perfectionism stunts flexibility. What is a recovering perfectionist to do? We can’t just disconnect ourselves from our wiring, in fact, we shouldn’t. But we can learn healthier ways of using our strengths to our advantage and the betterment of others. Distorted focus: When we strive to make something perfect, we may bypass the bigger purpose of creating something helpful. If I obsess about each word in this article, I lose focus on the more important point of helping the reader understand that perfection isn’t practical. Unrealistic demands: When we buy into the lie that perfection is attainable we work in an unhealthy manner, wasting precious time and energy. Embracing our humanness can be a gift to ourselves as we do the best we can instead of demanding we be the best at all costs. Preoccupation with self: When we believe that perfection is possible, we live with a “it’s all up to me” mentality. We try to control our environment in order to create the perfect conditions yet live in an frustrated state when those conditions don’t cooperate nor produce desired results. Sharp focus: When we keep the end goal in sight without giving equal attention to every minutia, we hone in on the greater goal without being distracted by non-essentials. As we focus our energy on doing something well, we clearly see possibilities and problems, instead of being paralyzed by perfection. Realistic Expectations: We only have twenty-four hours in a day. When we learn to manage our time instead of be a victim to it, we learn the value of limitations. Boundaries can be a beautiful thing for the recovering perfectionist, as we realize that deadlines, sleep, and days offs are integral components to a healthy work life. We work hard, but within the reasonable limits that are set before us. Team Approach: When we admit we cannot achieve perfection, we are more apt to invite others to help. When we work toward excellence there is more room for various approaches and ideas instead of the “it has to be this way” mentality. Cooperation is not as threatening when you admit you have gaps to be filled and strengths to be offered instead of the “I must be everything to all people” mindset. Let’s not be afraid to embrace our humanness which houses both vulnerable limitations and incredible creativity. Whether you are an artist, a business owner, or a busy mom, perfection can clog your creativity and keep you from unleashing excellence. As we acknowledge that perfection does not rest on our shoulders, we are freed to work hard (from a place of peace) and invite others along for the ride. 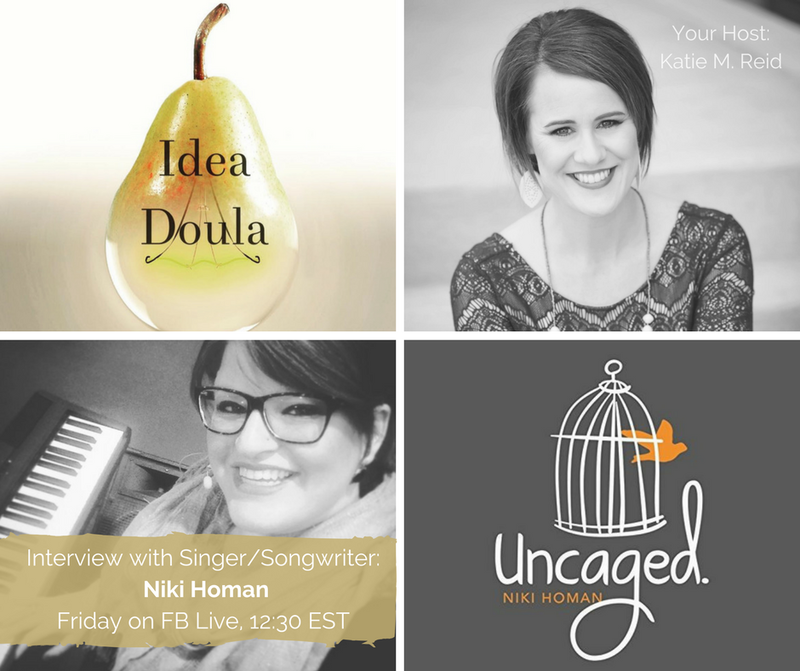 Join us on Friday, August 11th, for our next installment of “Idea Doula” on Facebook Live. I’m over the moon excited to introduce you to one of my favorite worship leaders and singer/songwriters, Niki Homan. She’s agreed to sing one of the songs from her “Uncaged” album…it’s one I had on repeat as I wrote my book. I can’t wait! Mark you calendars and join us (Friday) at 12:30 EST on my Katie M. Reid page. I’m giving myself a little break too. It’s tiring to be a perfectionist actually.